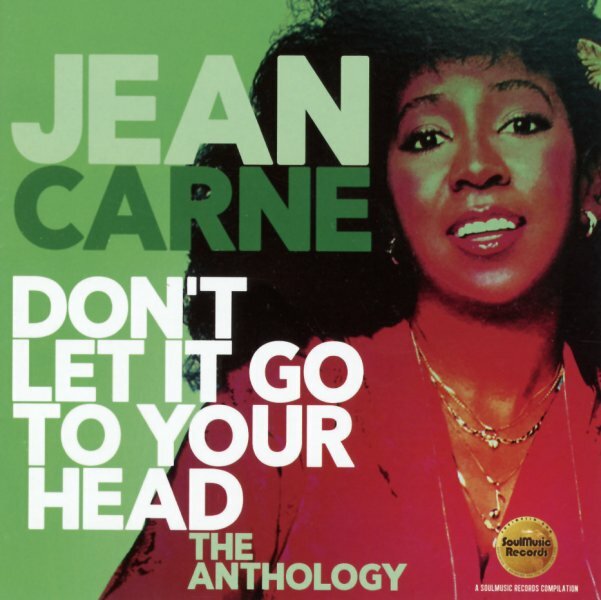 A fantastic tribute to the great Jean Carne – a singer who started out in jazz, working with then-husband Doug Carn on spiritual sessions and drummer Norman Connors on his soulful sides of the 70s – then shifted over to the Philadelphia International label, where she really helped Philly soul find new direction moving into the 80s! Jean always brings all the sophistication of her roots into her music – making her way more than just another soul singer, and instead a vocalist with a great range of expression that has her opening up in just the right way, no matter what the setting. This excellent collection is filled with classics from her years on Philadelphia International, and also includes some rare 12" mixes and duets with other artists too. Titles include "Free Love", "No Laughing Matter", "Don't Let It Go To Your Head", "You Can't Come Back Now", "There's A Shortage Of Good Men", "Time Waits For No One", "Lonely Girl In A Cold Cold World", "Bet Your Lucky Star", We Got Some Catchin Up To Do", "When I Find You Love", "Was That All It Was (12" mix)", "What's On Your Mind (12" mix)", "Revelation/Infant Eyes", "Mystic Stranger", "Completeness", and "If You Don't Know Me By Now" – plus "I'm Back For More" with Al Johnson, "Sweet & Wonderful" with Glenn Jones, "You Might Be Surprised" with Roy Ayers, "Love Is Beautiful" and "Dreams Of Tomorrow" with Dexter Wansel, "Keep In Touch" and "The Look Of Love" with Grover Washington, and "Dindi", "Love's In Your Corner", and "Valentine Love" with Norman Connors. © 1996-2019, Dusty Groove, Inc.